Diğer bilgiler Stacker securely handles round wrapped silage bales. The attachment allows bales to be stacked in vertical columns with relative ease. Vertical column stacks provide greater stack stability., maintaining bale shape for easy feeding. - Stack round bales in columns. - Suitable for Tractor, Telehandlers and Loaders. - Ideal for tight stacking. - Spring system to retain arms. - Pipe 48 mm, thickness 5 mm. - Bale diameters 900 mm to 1960 mm. - Euro brackets as standard but other brackets are available to suit any machine. 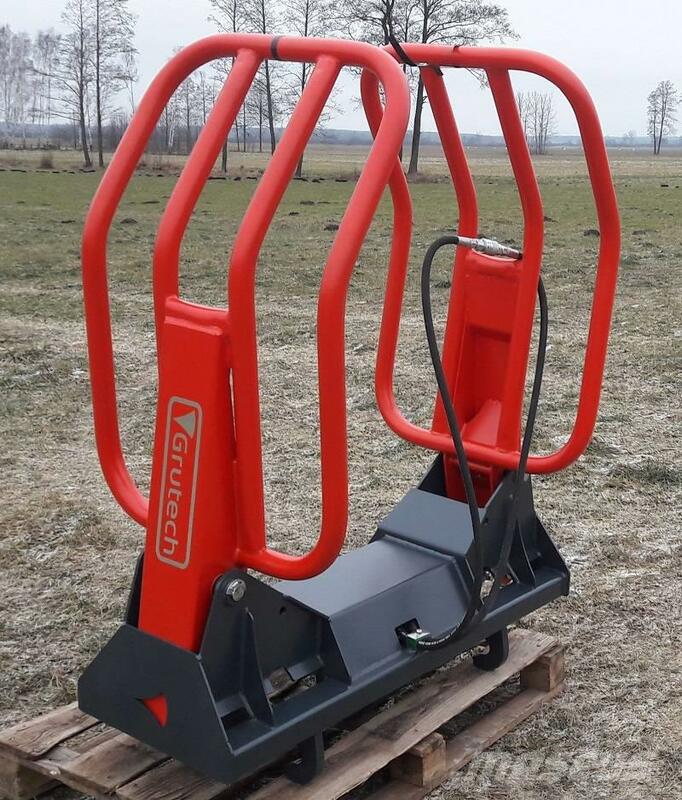 Bale grabs 1 actuator: Lifter capacity 900 kg. Bale grabs 2 actuators: Lifter capacity 1200 kg. We invite you to our website www.sid-export.com where you will find our entire offer. We offer permanent access to machines and transport around the world!